Posted March 31, 2016 by Andrew Curnow & filed under Episodes. 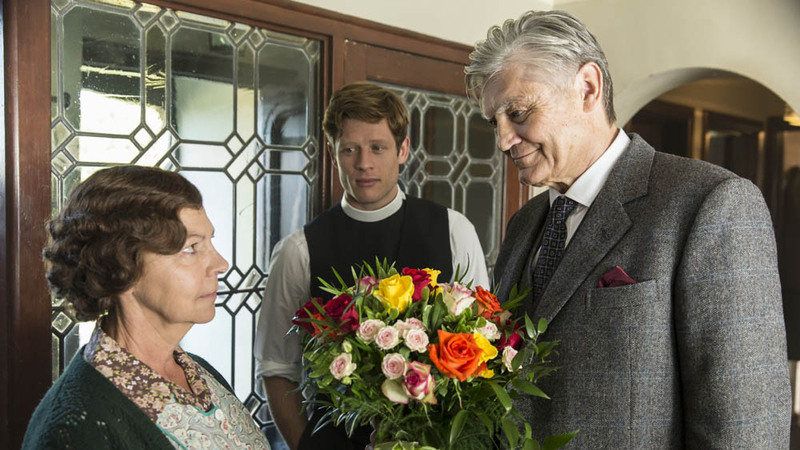 Although the two lead characters have the moral absolutes of the Bible and the certainties of the law to rely on, the real drama in ITV’s Grantchester comes from the ambiguities inbetween. It’s one such grey area that is the cause of the ongoing coolness between our two leads, namely the death penalty looming over Gary Bell – in Sidney’s view a young man guilty of nothing more than trying to help a friend; in Geordie’s book, simply guilty. Despite this estrangement, however, when Geordie is implicated in the death of a prisoner in his custody it is to Sidney that he turns for help. 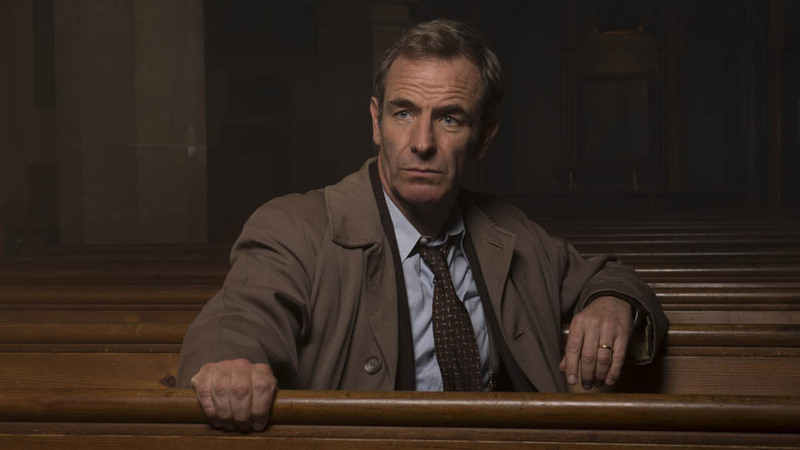 At first Sidney has no doubt of his friend’s innocence, but as he begins to examine the evidence his faith wavers. Has Geordie planted stolen goods in order to frame an innocent man? …Except that it may be his own self-interest that wants the husband out of the way, because there is the suggestion that Geordie and Rita have been having an affair. Even Geordie’s wife Cathy (Kacey Ainsworth) knows he’s been with another woman, she tells Sidney as much, although she’s not planning either to confront or to abandon Geordie. “You don’t knock down the wall just because there’s a crack in the plaster do you” she says, almost calmly. As it happens Geordie hasn’t been carrying on with Rita (although his colleague Phil has) and nor did he frame Eddie (Phil again). He wasn’t involved in the death either – that was the effect of rat poison administered by a battered wife fearful for her children. We don’t know if there will be any consequences for detective Phil (“He’s a copper” is Geordie’s non-committal reply). And the woman Geordie was with turns out to be Sidney’s erstwhile girlfriend Margaret, who insists “We kissed, that’s all it was.” Does that count as being unfaithful…? More grey areas. Nevertheless there’s a sense that perhaps Geordie will finally realise why Sidney is troubled – a killing has occurred, but Geordie can’t condemn Rita’s motives as evil. Sadly not, he still declares his absolute faith in the death penalty. To Sidney, raw from having just witnessed Gary’s hanging, it is too much, and in a shocking final scene, the vicar turns his anger and his fists on the detective. If it’s a shock to see Geordie battered and bloody, it’s even more so to see Sidney turn away, the mental turmoil around Gary, and Geordie, and Amanda, finally having pushed him too far. No doubt the fallout of this is what we will have to deal with in next week’s finale. Aired at 9pm on Wednesday 30 March 2016 on ITV. > Follow Andrew Curnow on Twitter.